TheRustedChain - The Blog: Sunflowers don't grow in Kansas. Sunflowers don't grow in Kansas. At least not in my yard. 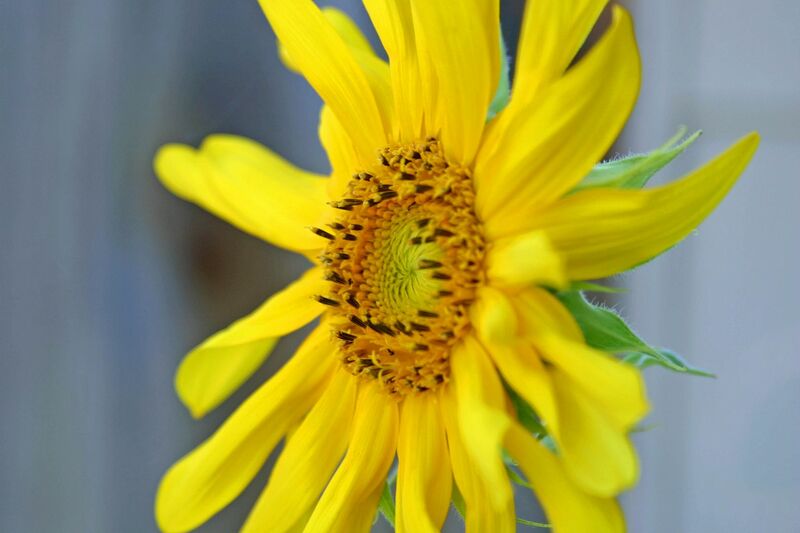 Earlier this year I planted sunflower seeds, hoping to get some big gorgeous blooms. When we first moved into this home, there were sunflowers in the yard and a certain male head of the household, who shall remain nameless, cut them down and killed them. Because he didn't like them. So I planted some. And you know what I got? One sad little flower about 3 feet tall. So sad, in fact, that I felt the need to write the name on the wall for fear no one would know what it was. So please take a moment, and enjoy the one speck of yellow sunshine in my yard with me. Stop snickering. You're hurting it's little bitty feelings. Charlie Brown had his Christmas tree, you've got your sunflower. Poor little thing. Do you have slugs around there? If so, that may be your problem. They eat the seeds when they're planted. Darn slugs. Your sunflower is beautiful, even standing there on its own. Wish I had one...bad ole unnamed sunflower cutter downer! Maybe more will come next season. i think little bitty is adorable! Oh yes, so true, most people think Kansas has fields and fields of sunflowers. Not true. We do have some fields, but they are few and far between. Just not a profitable crop my farmer BIL tells me. I think your sunflower is adorable....poor little thing. I think it is quite beautiful and stately. Aw. It's special. We got one stalk with three heads- it's all that survived moving into this house from our little Target grow kit. But I'm hoping NEXT year- we'll see something stronger. Nothing says end of summer like sunflowers! It's sweet, and maybe next year you'll get an even bigger one. You are funny. And your poor little sunflower is a cute little sunflower. Its really pretty, even though its little. Bright & Yellow...love it! It is lovely! The exact same thing happened to me last year!! i believe that it is a great statement...a testament of strength and beauty! It's still really beautiful, and I'll bet it will produce some yummy seeds. honestly, how many sunflowers do you need? One is perfect. I love it! 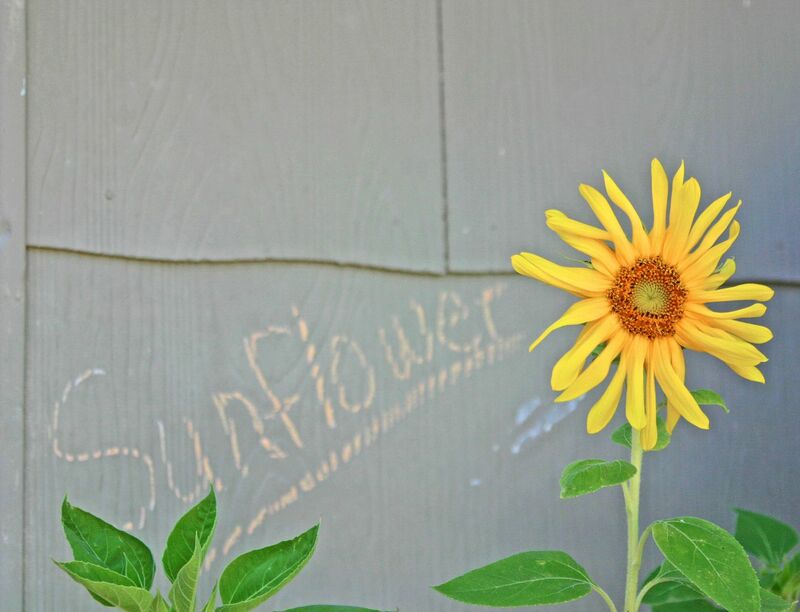 I love that you wrote sunflower next to it! darling post! Love it!! She certainly knows how to make a statement! It was a lovely speck! Thanks for sharing! sending the sunflower lots of love, it has nothing to be ashamed of! good things come in small packages. I honestly think it's just BEAUTIFUL and it stands out even MORE because it's all alone. It will not be missed and is highly appreciated for its loveliness. It may be small but it sure seems like a good life to me!! Beki, can I ask you if you would mind checking out my 30-Day campaign? I'm SO trying to spread the word for a good cause - health for all of us! Thank you, my friend. Nature is sweet! What a darling blog you have filled with talent and darling children! You take beautiful photos. Totally feel your pain...mine only grew about that tall too. Bummer. Its really pretty, even though its little. Bright & Yellow...love it!.. LOL, what a cute little sunflower! 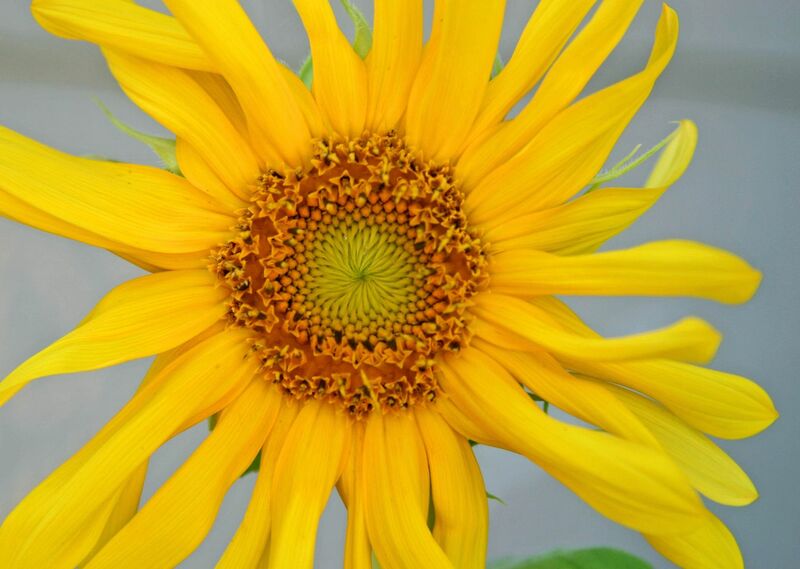 So your one, single, little sunflower is just glorious! :) Enjoy it!